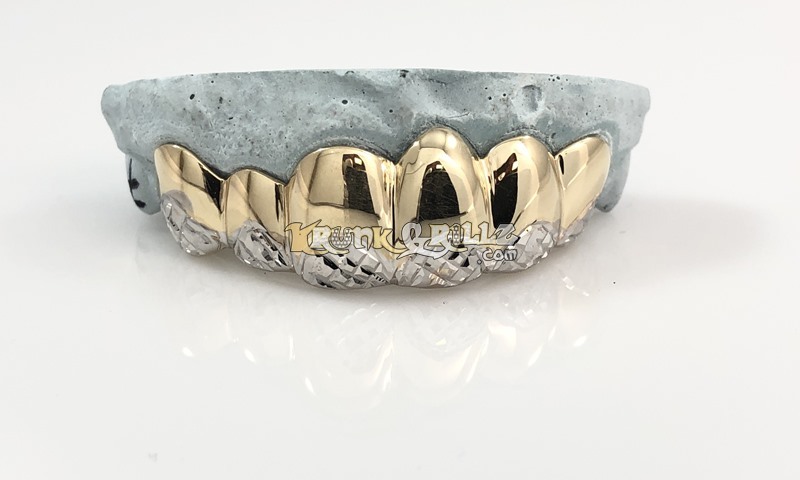 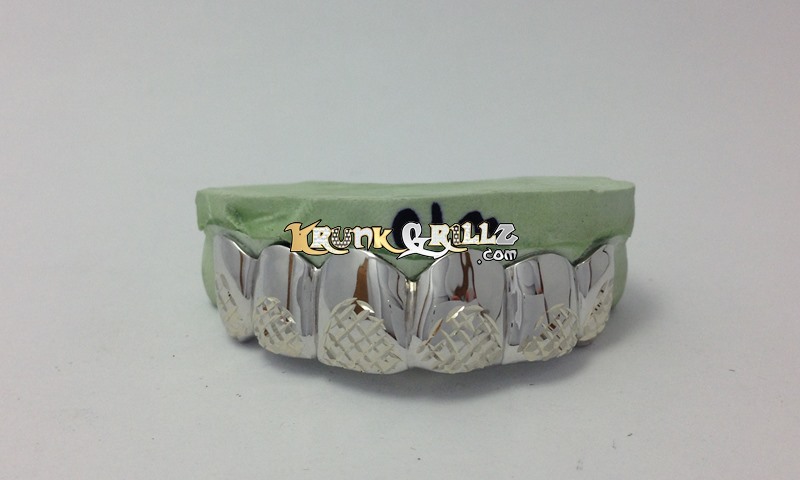 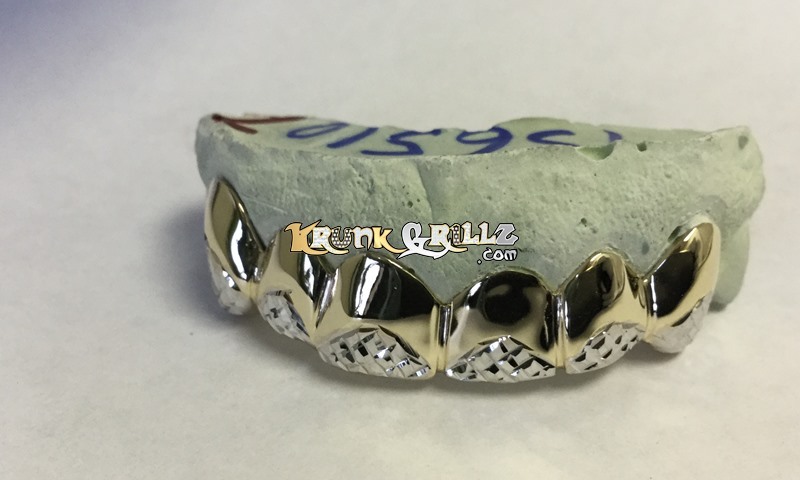 Custom gold grillz with a half circle arch diamond cut inside. 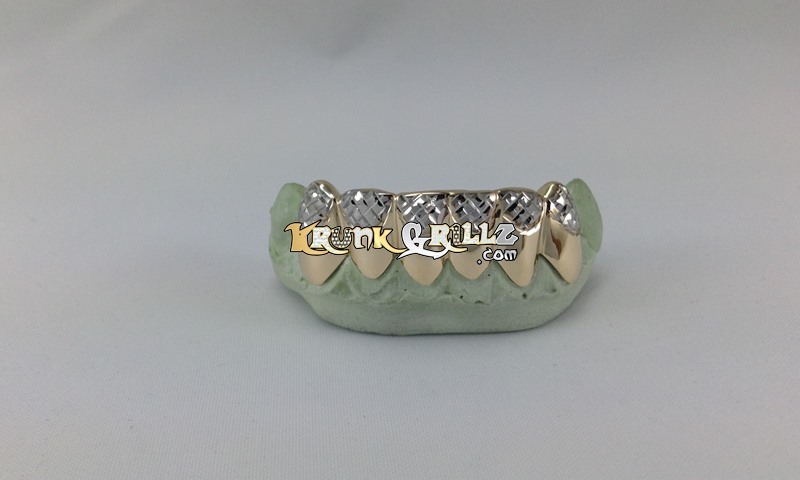 When you choose yellow gold or rose gold, we will add a white coating on the circle tips for 2-tone look. 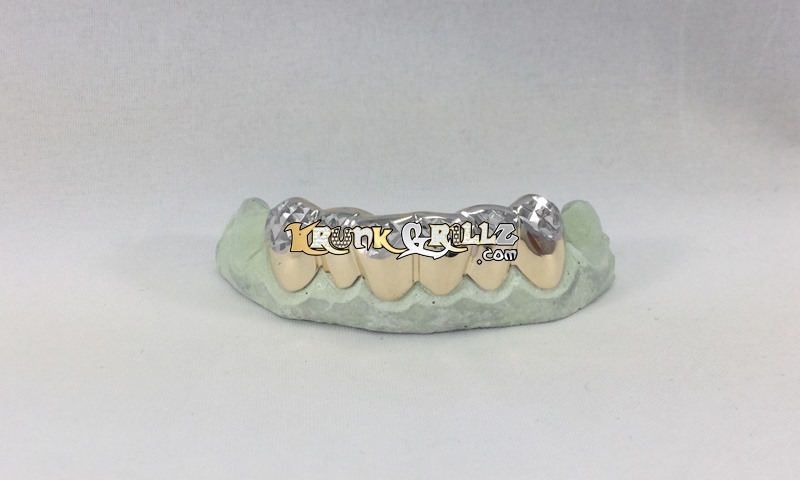 If you choose white gold, silver or platinum then your entire grillz will be that single color.